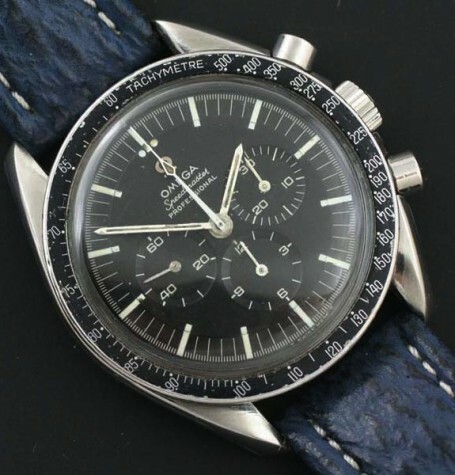 Omega Speedmaster Professional man on Moon Watch for sale. Original Omega calibre 321 chronograph movement. 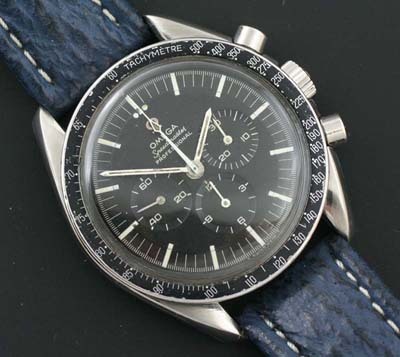 This is one of the sought after Pre-Moon Vintage Omega Speedmaster watches. 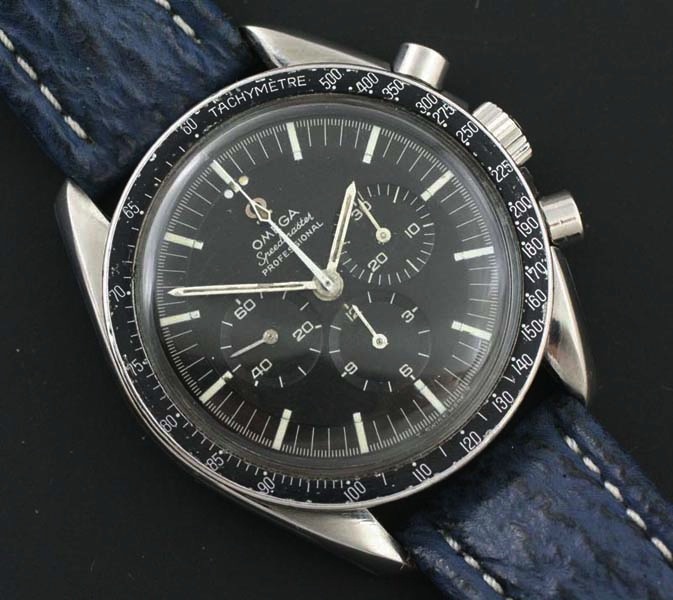 An Omega pre-moon Speedmaster dating to the height of the International Space race in 1967. 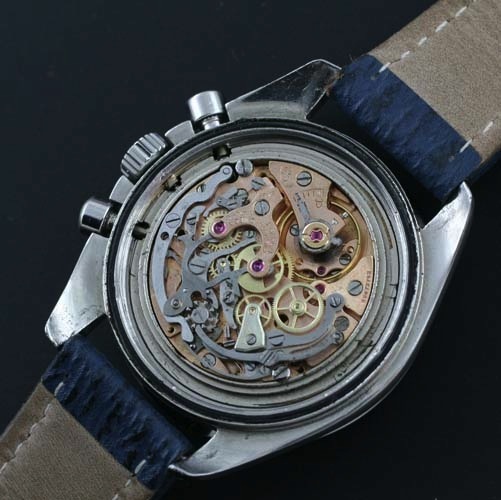 This model uses the legendary column wheel calibre 321 movement. 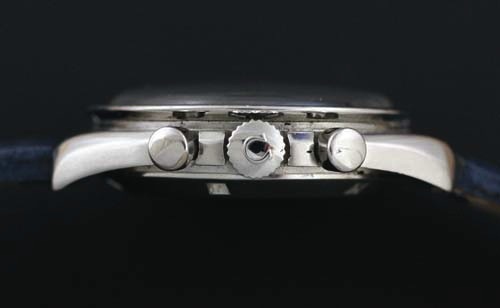 Omega originally started using the calibre 321 chronograph movement in the first series of Speedmasters that did not have the built in crown guards and these were not classified as Professional watches. Somewhere around 1965-1966 a revised model was introduced called the 105-012 which was sold alongside the non crown guard model, 105-003. 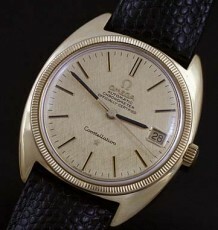 When the non crown guard model was discontinued, the Speedmaster reference changed to 145-012, which is what this model is. It is also suggested that this model was in fact the specific reference number worn on the fist NASA lunar mission. 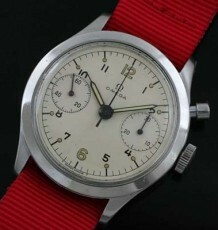 The watch dates to about 1967 based on the caseback stamping and the serial number of the movement. The Seamonster logo on the back is somewhat faded but still visible. 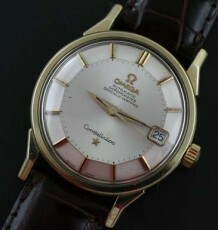 The all original dial is in outstanding condition. The hands are a bit weathered but appear to be the original hands. 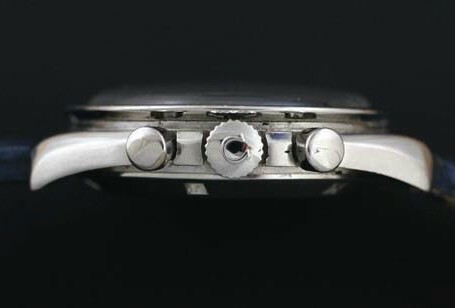 Some argue that the chronograph sweep seconds hand should have the dove tail on it however evidence suggests it may have been used ion this model. 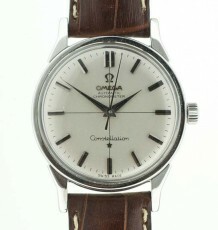 Please note the original Omega steel emblem and the fact that it is a Tritium dial not the newer replacement luminova model. 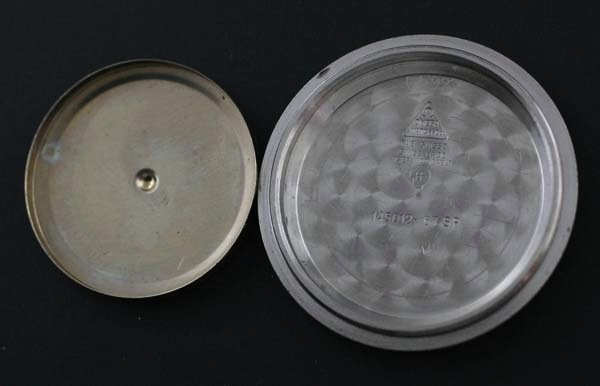 The bezel insert is somewhat faded however it appears to be the original unit. I can supply a new bezel for the watch should the buyer request it. The watch was just serviced by my watchmaker and keeps excellent time. All Chronograph functions perform flawlessly. 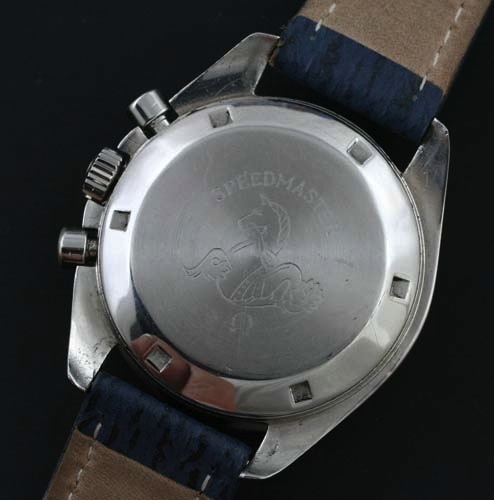 The watch is supplied on a black, brown or the current blue leather strap. 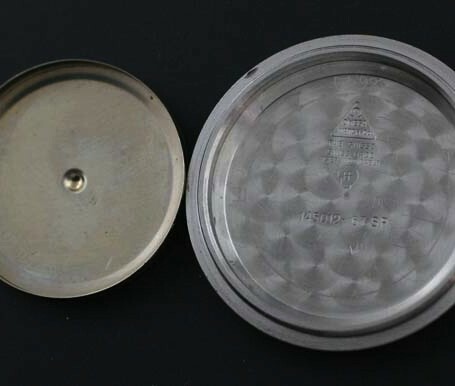 The watch case measures 42 mm wide by 48 mm long.